This week WordPress has “Weekly Photo Challenge: Foreshadow”. They suggest a storm or a flower budding out. 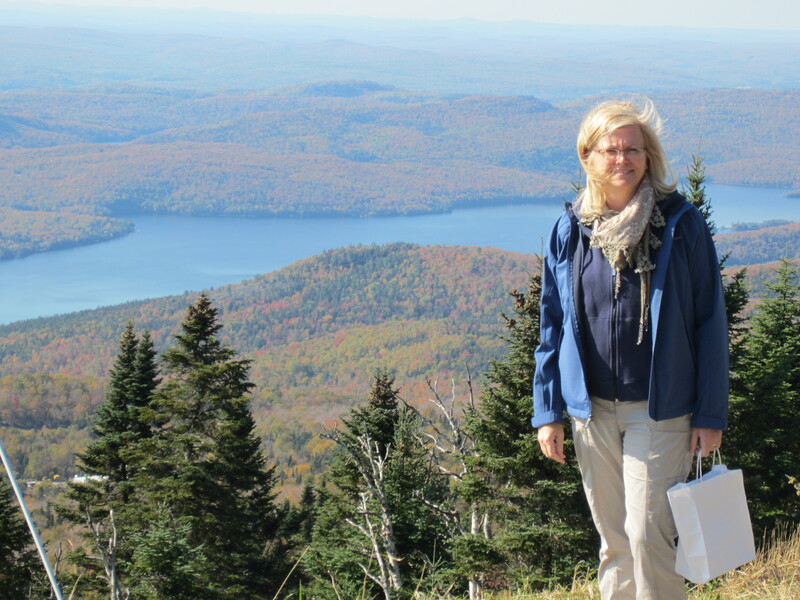 I chose some photos from our trip into the Laurentian Mountains in the Canadian province of Quebec. 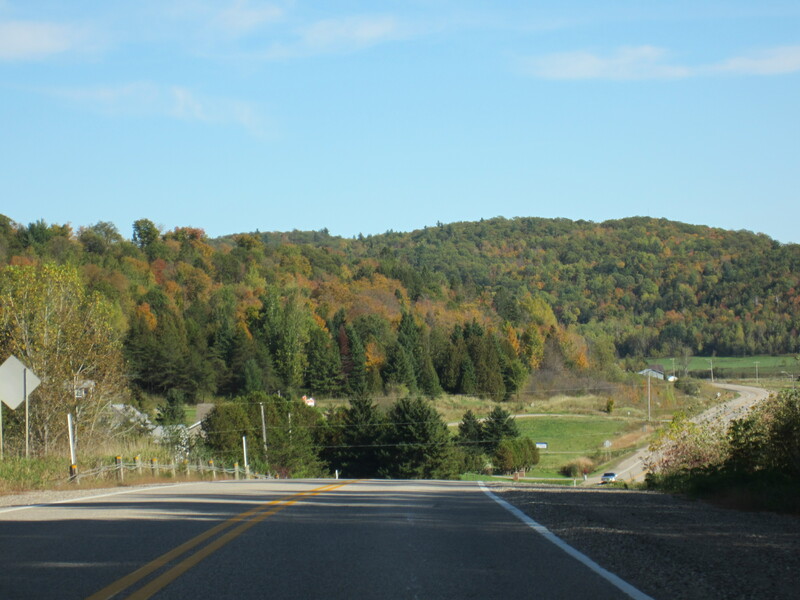 We planned the trip for mid-October when the fall colours would be approaching their height, landing in Ottawa and renting a car for a cruise into Quebec City. Our route would take us into Mt. 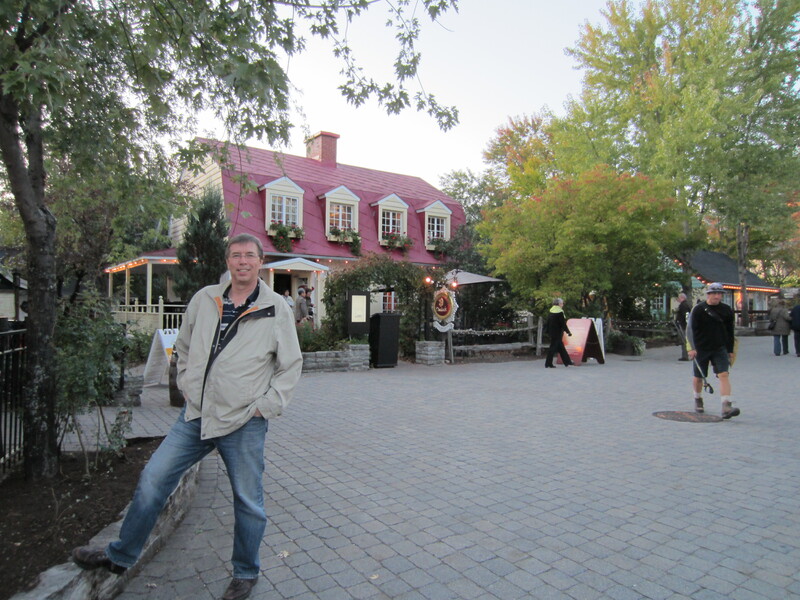 Tremblant, then on to Montreal, Quebec City and back to Ottawa. A spectacular trip it was. 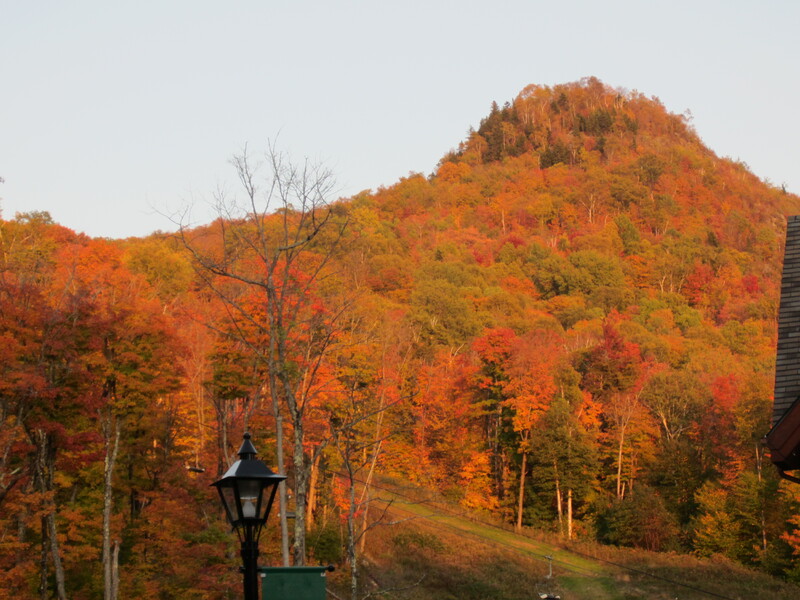 In a week or two, the brilliant foliage will have fallen and then the area awaits the snow and the arrival of the many skiers. Good Morning world, it is time to get up. There is food to eat, beer to drink, wine to savour, shops to shop and, yes, a mountain to be on top of. Not a regular Alberta type of mountain, but a mountain indeed. 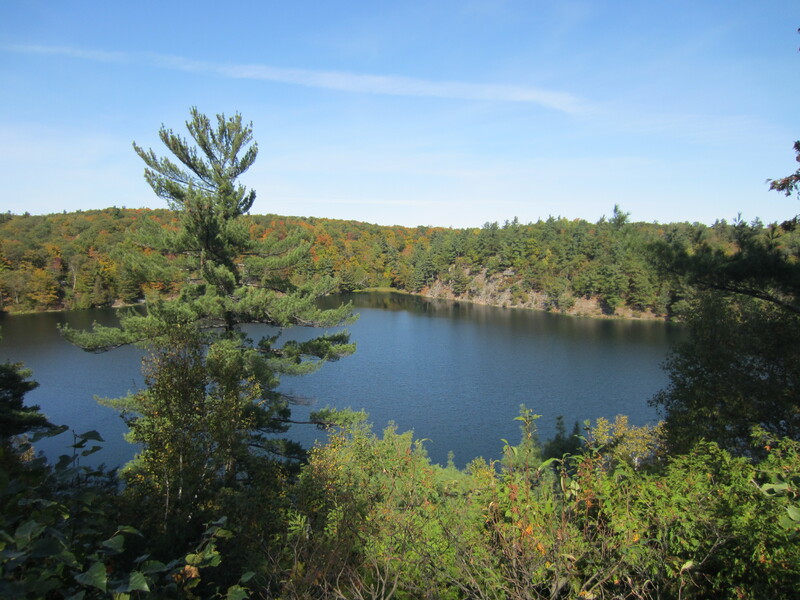 The whole premise of our trip was to see fall foliage and spend some relaxing time off from a hectic summer. 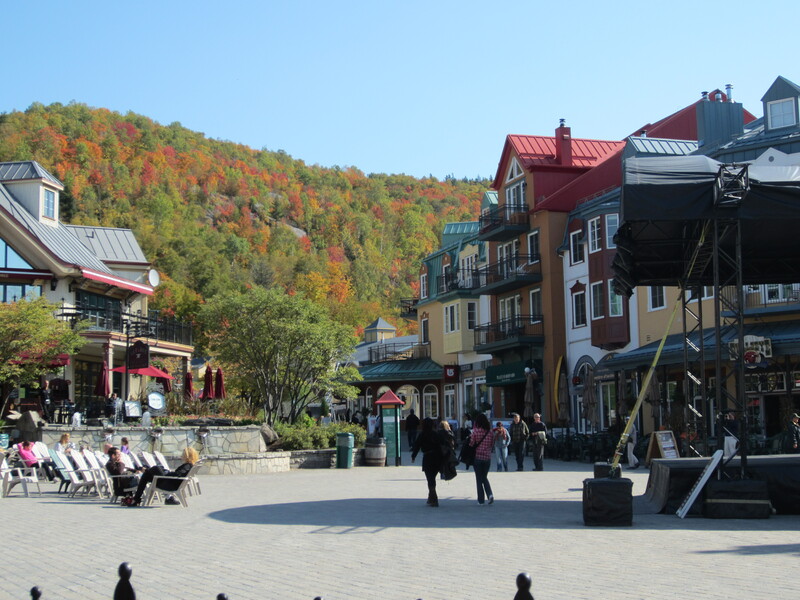 Mont-Tremblant fits the bill. A very laid back place at this time of year. 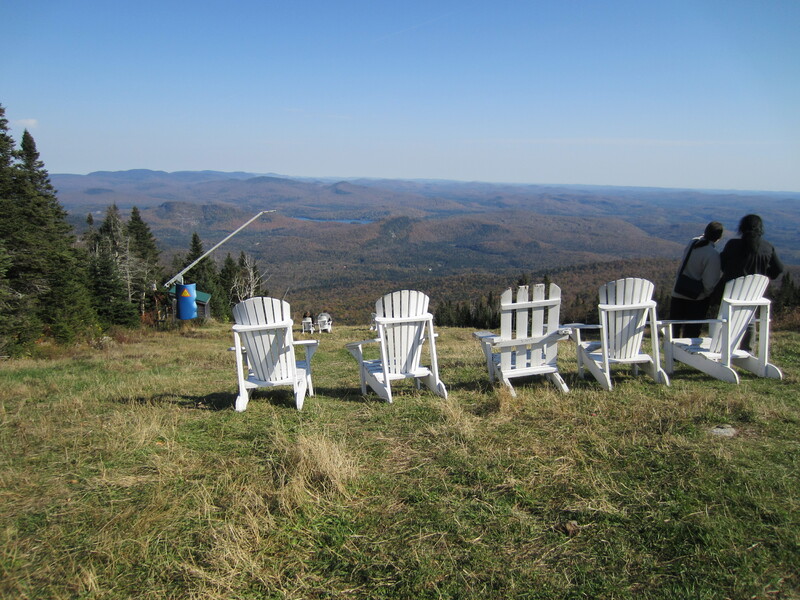 No skiing yet, summer over, a very casual crowd. 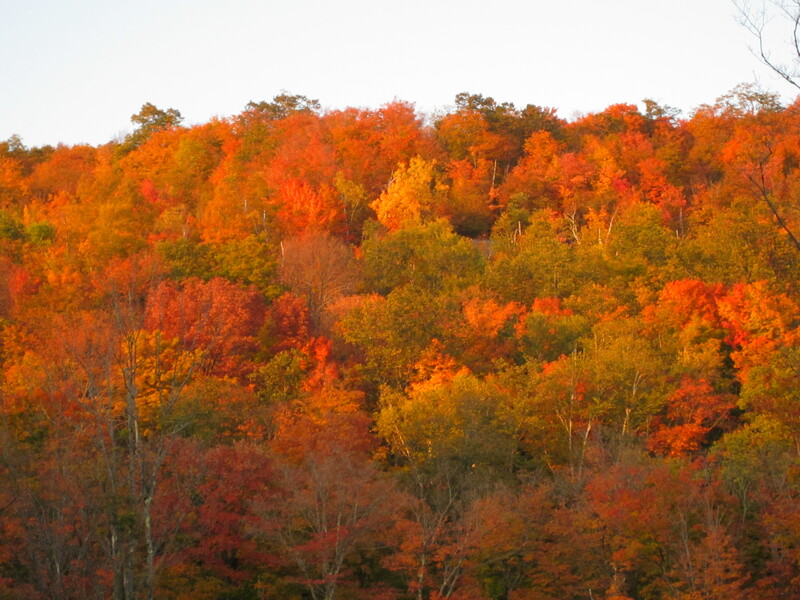 And we did find our fall foliage. The colours are stunning. Back home in Calgary, we don’t get the red hues, making it even more impressive. I’m sure the pictures above and below do not do justice to the real thing. Having spent some time in town shopping and eating, it was time to take the gondola to the top of the hill. The mountain itself is 2871 feet in elevation, not to big by Alberta or British Columbia standards, but tall enough for some pretty good skiing, at least from what I see of the runs in summer. Lots of steep sections and runs on both sides of the mountain. In the summer, the views are perfect. Kind of a misty day, but one can get the idea. Lori particularly loved what she had found in the shops way down there and decided to keep it close by for an emergency look from time to time. 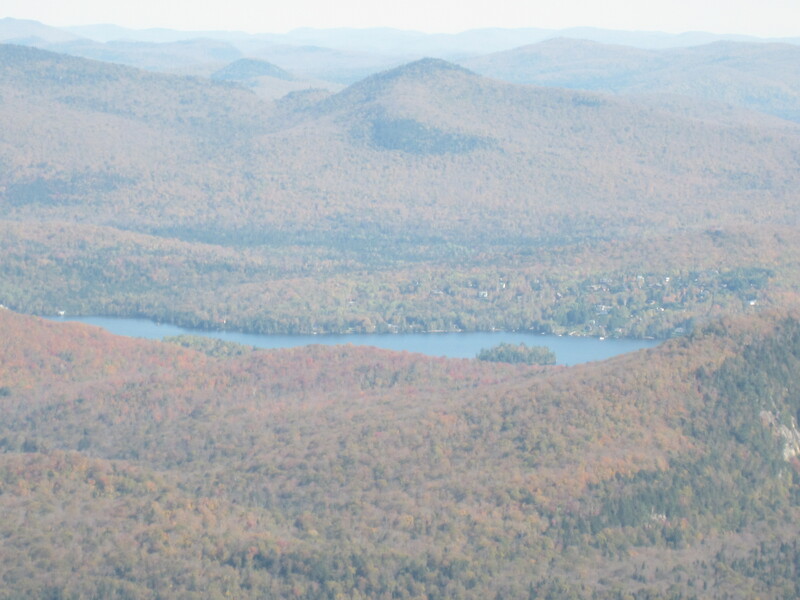 The Laurentians are a very old range of mountains. What we see here today is what the Rockies will look like in a few million years. The rolling hills, well forested, go on forever. A beautiful place to spend some time exploring. Also at the top, we found this spot on the back side of the mountain, what one can only call a Corona moment in the making. We sat here for a while taking in the view, also hoping not to roll off down the hill as the seating seemed a bit precarious. Having spent some quality time on the hill, it was time to head back down for, guess, some liquid refreshments. The video is a poorly done film of our descent in the gondola. New camera, poor execution, but, hey, it’s my blog right? It was a gorgeous day, so we headed for an outdoor deck where had some appetizers and a drink or 2. 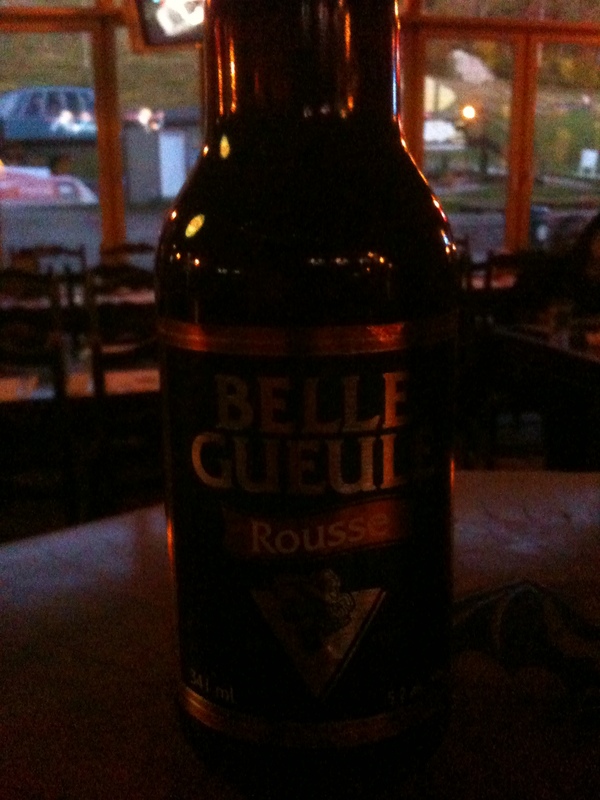 I had a Belle Guele Rousse, another good brew. 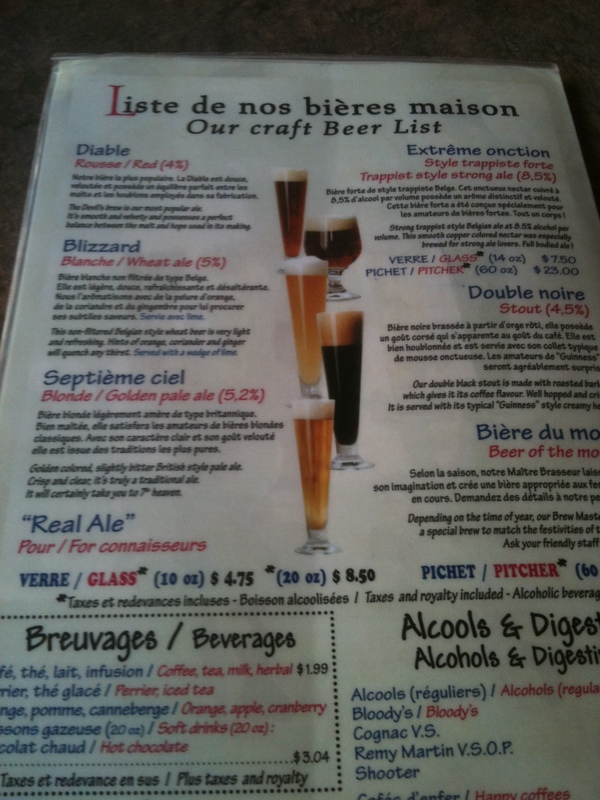 There is no link for the “Les Brasseurs RJ” web page (the brewery), or should I say there is one but it doesn’t work very well (or at all) and is in French only. The picture is a bit dark, but I was lost in the day and it was quickly becoming night. To finish our day, we decided to catch the gondola to the casino. 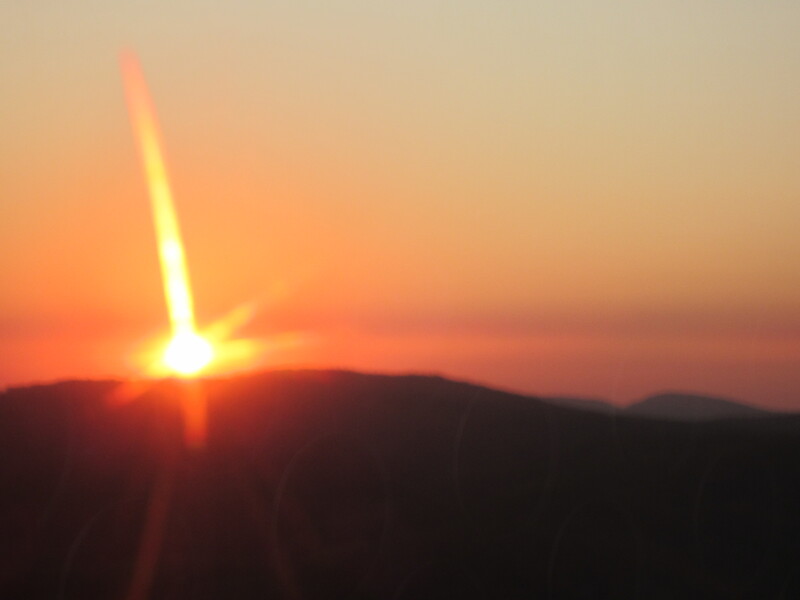 It is free and apparently one can catch a beautiful view of the sunset from it. It did mean going around in circles and spooking the the staff as you don’t get off the gondola, but hey, getting the shot makes it worthwhile. It is all about the timing after all, so circles it had to be. It ended up being worth it. 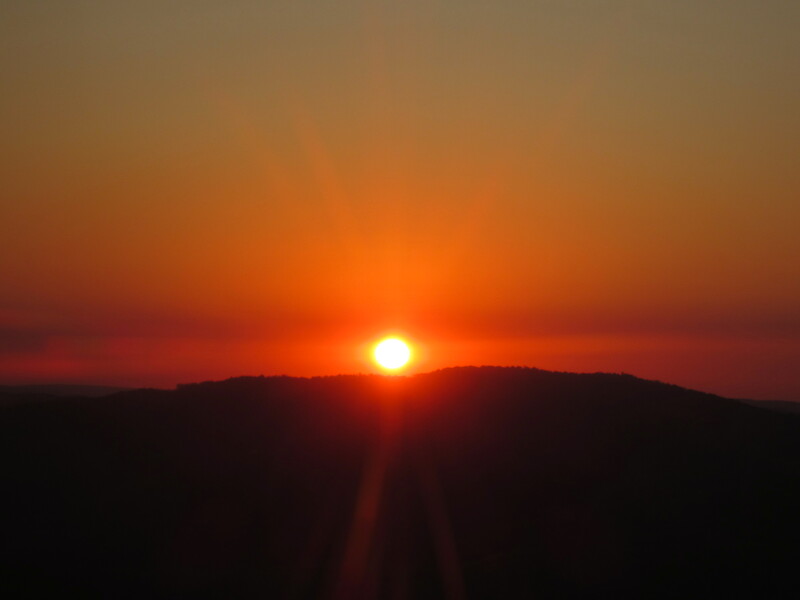 I leave you with some shots of the sunset as taken from our perch high above the forest. Beautiful. See you soon as we move on to Montreal. Just a quick note. We have spent a few days in Winnipeg, then Ottawa and Mont-Tremblant. We are currently in Montreal for a few days then off to Quebec City. So far, the trip has been spectacular. 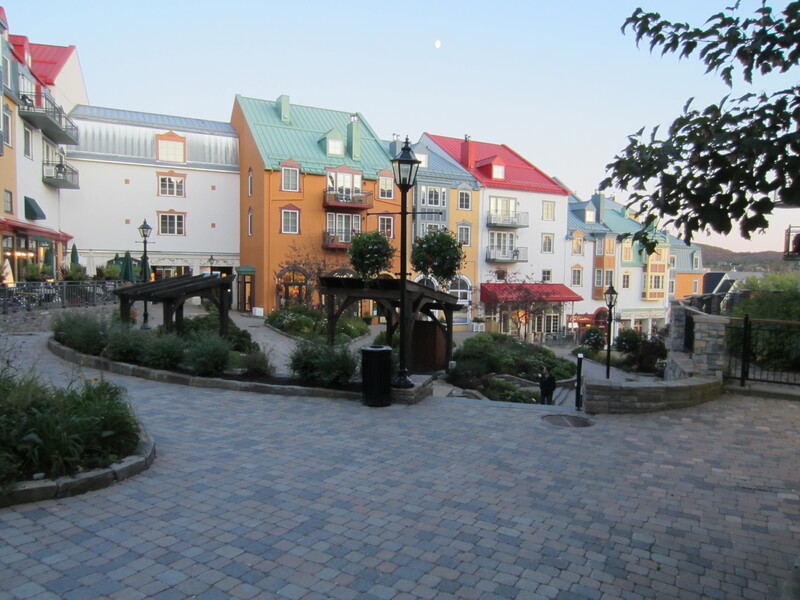 We are so happy to have made he decision to head for Mont-Tremblant prior to Montreal. 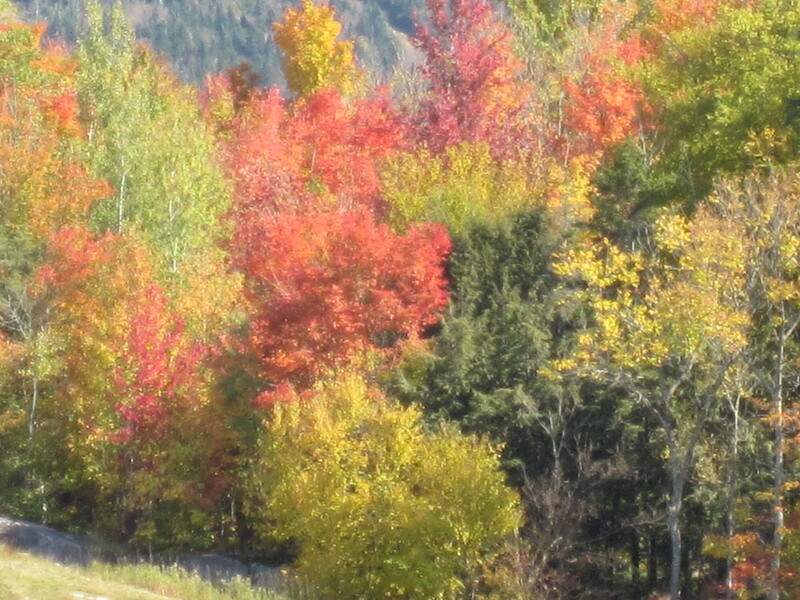 The Laurentians are beautiful at this time of year. I have uploaded a couple of pictures and will do some full posts over the next few days (I hope). 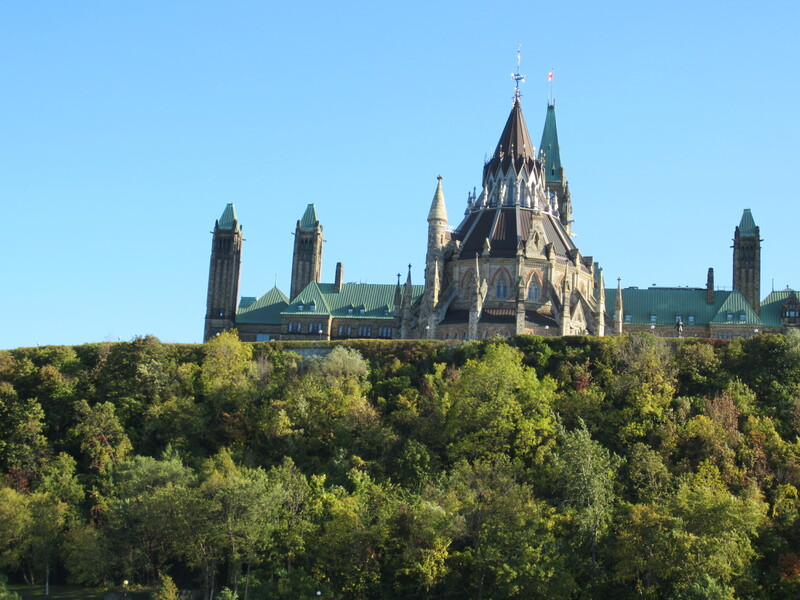 We took a boat tour along the Ottawa River, very pretty, although the foliage has not quite changed yet in this part of the river. The Parliamentary Library is a beautiful bit of architecture. 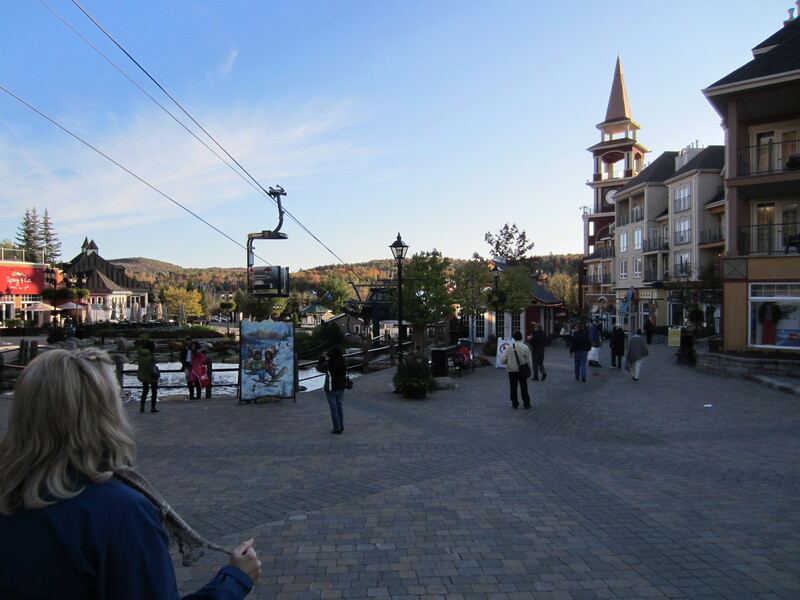 We took the ski lift to the top of Mont-Tremblant. As you can see, Lori found a shop up there.